OPEC is imploding day by day. Right now, no other catalyst weighs heavier on the 14-member oil cartel than the collapse of Venezuela’s oil industry. I wish I could tell you that nobody saw this coming. We’ve seen the writing on the wall for more than a decade... ever since Hugo Chávez seized all oil assets held by major oil players like ExxonMobil and ConocoPhillips. This was the nail in the coffin for Venezuela, a country that derives over 90% of its economy from crude oil! Oil exports account for about 98% of its export earnings. As we watched Venezuela’s oil production plummet roughly 60% over the last 10 years, it was impossible not to see the writing on the wall. Put it this way: The country’s oil production is going to fall below 1 million barrels per day in 2019. An even scarier thought is that it’s more likely headed to zero. State-owned PDVSA simply doesn’t have the technical expertise to turn things around. Keep in mind that during this seemingly irreversible decline, Venezuela had resorted to paying its debt directly with oil shipments. Russia is receiving upward of 250,000 barrels of oil per day from its beleaguered oil industry. It gets worse for China, which foolhardily invested more than $23 billion in Venezuela. Last time I checked, Venezuela was shipping well over 300,000 barrels per day to the Chinese to pay off this debt. Let’s call it an even half-million barrels per day that is skimmed right off the top of PDVSA’s output. When the crude stops flowing, you can bet they’ll do whatever they can to recoup their losses. Of course, the latest oil sanctions by Trump that take aim at Maduro’s regime will accelerate their collapse. On the surface, these sanctions are placing even more pressure on U.S. imports of Venezuelan crude oil, which averaged 506,000 barrels per day in October 2018. Look, I’m not here to play politics. The coup taking place against Maduro by U.S.-backed Juan Guaidó could turn out just as bad as Maduro’s regime — just ask Eisenhower how President Diem worked out for Vietnam. I’ll let you pick your side on this one and save the political rants for someone else. All I can tell you is that this is just another sad episode in the proxy wars being fought between Russia and the U.S.
And this story is not going to end well for anyone... except perhaps for a small group of investors who are staying ahead of the curve. 14 million barrels or bust... per day! That’s one of the latest, most aggressive predictions for U.S. oil production that we’ve seen in recent memory. And that bold call came from the U.S. Secretary of the Interior, Ryan Zinke. He didn’t just pull that number from a hat, either. 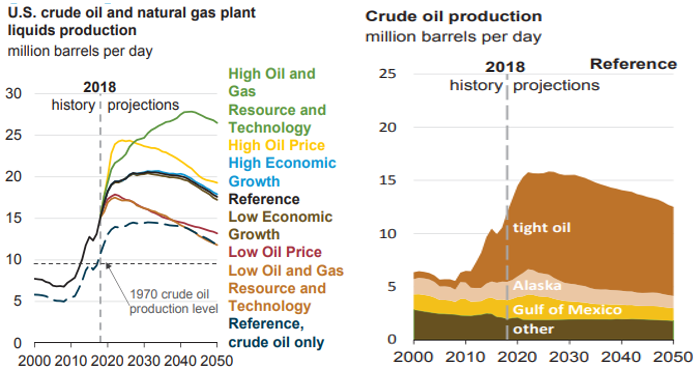 Last week, the EIA released its Annual Energy Outlook 2019, in which its Reference case projected that U.S. crude oil production would continue to set annual records between now and 2027. Call it wishful thinking (I certainly do, and we’ll cover this in more depth later), but the EIA’s report expects U.S. oil output to top 14 million barrels per day — and remain that high for the next 20 years! Regardless of how high U.S. oil production climbs, it’s clear that all roads for investors lead to our tight oil resources, which account for 60% of our total crude output. But we can get more specific than that, can’t we? You see, this huge growth may hinge on the development of just one Texas oil play: the Wolfcamp formation. 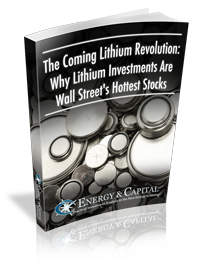 Now, I understand that this is nothing new for the veteran members of our investment community here at Energy and Capital. We’ve been beating this drum for years, and our members have seen firsthand the kind of profits these Texas drillers can dish out to investors. And it’s those exclusive opportunities that we’ll be hammering home in 2019 as the world’s major oil exporters (like Venezuela) continue spiraling out of control.